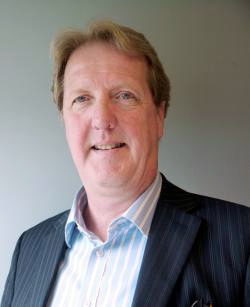 Multitone Electronics Plc, a specialist in the design, manufacture and implementation of integrated communication systems has appointed its new Account Manager for the South and South West England, Charlie Morgan. With an enviable track record in technology sales and account management, Charlie has worked in a number of sub-sectors, including banking systems, Internet Service Providers (ISPs) and cloud-based systems. 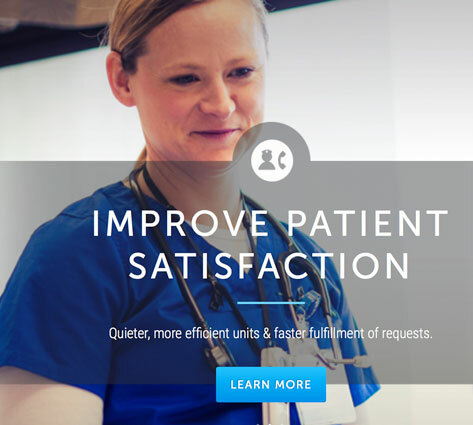 Multitone has worked with healthcare professionals for many years, having supplied paging and other critical communications for medical and administration staff since 1956. Multitone is part of Kantone Holdings, with a turnover in 2015 in excess of £224 million. SAN FRANCISCO — Google parent Alphabet is focusing on new cheaper wireless technology to beam ultra high-speed Internet into people's homes, executive chairman Eric Schmidt told shareholders during the company's annual meeting on Wednesday. "To give you an idea of how serious this is," Schmidt said he had a "lengthy" meeting with Alphabet CEO Larry Page and Chief Financial Officer Ruth Porat to discuss the technology on Tuesday. "There appears to be a wireless solutions that are point to point that are inexpensive now because of the improvements in semiconductors," he said. "These point to point solutions are now cheaper than digging up your garden and so forth." Google Fiber is experimenting with the technology in Kansas City and plans to have a test wireless network up and running by year's end. It's trying to solve what's called "the last mile problem" that requires laying fiber-optic cables. The technological breakthrough: "They (the wireless solutions) can carry the gigabit performance," Schmidt said, that is the 1 gigabit per second Internet speed that Google Fiber delivers through fiber-optic cables in a handful of cities without the disruptive construction or high cost. 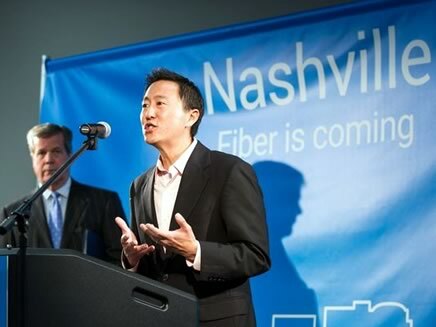 Google Fiber is working on wireless technologies to reduce the cost and increase the availability of high-speed Internet. Facebook is also experimenting with wireless technology. Both businesses rely on people spending time on the Internet. "One of the things that is intriguing about wireless is that it allows you reach houses and users that are in lower density settings — where fiber becomes too expensive. So providing fixed wireless services using some of the technologies we think are ways of accelerating our deployments," Access CEO Craig Barratt, who oversees Fiber, told Recode in April. "We think, over time, there will be a sort of heterogeneous mix of technologies that we can use, depending upon the type of problem we’re trying to solve. But I want to make it clear that our focus on wireless technologies is really around fixed — so providing fixed wireless broadband." This weekend TETRA Operator ASTRID completed the changeover from its old paging system to the new one. 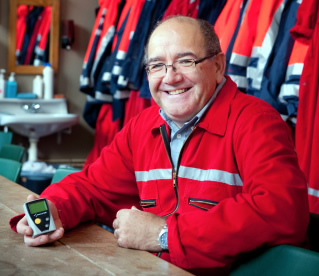 Paging is used by the fire brigades and emergency services to call volunteers who are equipped with pagers through which they can receive alert notices. The important preparations for renovating the infrastructure and ensuring continuity of the service provision in the future started one year ago. ASTRID worked closely together with the user organisations throughout the entire process. During the changeover on Saturday, June 4th 2016, ASTRID constantly kept users informed about the course of events. The technically complex migration was completed in four hours (between 8 AM and noon), during which time the paging service was interrupted. 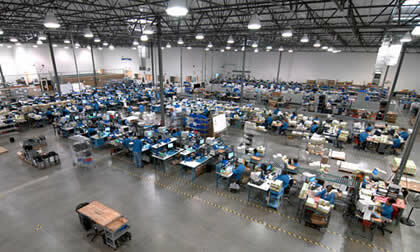 Following several months of preparation, the technical teams from ASTRID and its suppliers have done their utmost to ensure a smooth transition. After the switchover of the 226 antennas in various locations all over the country, the pagers of the volunteer firefighters and emergency responders as well as the alarm terminals at the fire stations automatically connected to the new system. On the Saturday afternoon the teams carried out on-site technical maintenance on 30 antennas. More than 2.3 million pages pass through the paging network every year. Radio communication was not interrupted during the switchover operation as it did not involve the ASTRID TETRA radio network. Certain components of the old paging system had become outdated (2001) or had reached end-of-life status and the supplier was no longer able to offer maintenance or a replacement. The paging service is a quintessential tool for calling volunteer firefighters to the fire station. After consultation with the users it was decided to re-opt for POCSAG, a proven and widely used technology standard that continues to meet the operational needs of the emergency services. The renewal of the paging system encompasses the replacement of the network core and its auxiliary system (consolidated in three data centres), the gradual replacement of the emitters on the antennas, and the addition of certain features with added value for the users. After completion of a public procurement awarded in 2015 to the company Thales, the paging technology will be brought up to date from the previous system. 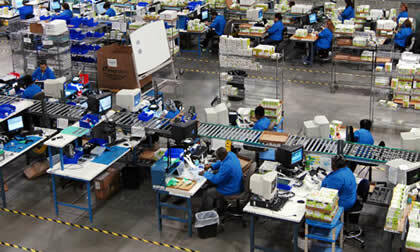 This will allow for a reduction in operational costs at the same time. 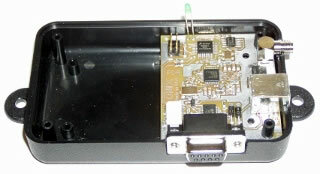 A pager is a device through which volunteers can receive short messages (e.g. : “Urgent intervention – house fire”) or codes transmitted by the station. The main users of this simple and efficient alerting system are the (voluntary) fire brigade, the Civil Protection Service, several medical emergency services, doctors, hospitals and the Red Cross. The system allows for sending an alarm message simultaneously to a large number of volunteers who possess a pager and are located outside the station (at work or at home). 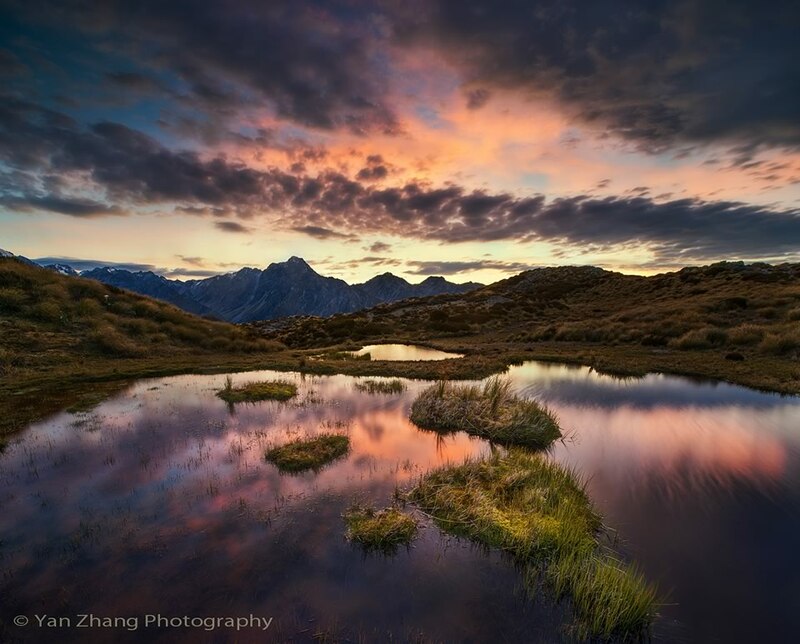 Approximately 6,400 alarm messages pass through the ASTRID paging network every day. Paging subscriptions are free of charge for emergency zones (fire brigade) and public emergency services. The ASTRID paging network consists of 226 antennas dispersed through Belgium as well as centralised management systems (servers). Alarm messages are sent from the server to the antennas, which in turn forward them to the pagers. The technology underlying the ASTRID paging network is based on the POCSAG standard. The system allows emergency services to quickly send and receive messages throughout the whole country. The ASTRID paging network offers maximum indoor coverage. Paging messages can be transmitted to pagers by phone, via an ASTRID radio or very specifically via a PC or alarm terminal. Emergency managers should be utilizing the communication technologies that have advanced dramatically in recent years. Hospitals are no stranger to emergencies, which makes having the latest emergency communications systems critical. Security professionals considering upgrading their emergency communications system are often plagued by the daunting task of developing and implementing the system across their institution’s campuses. 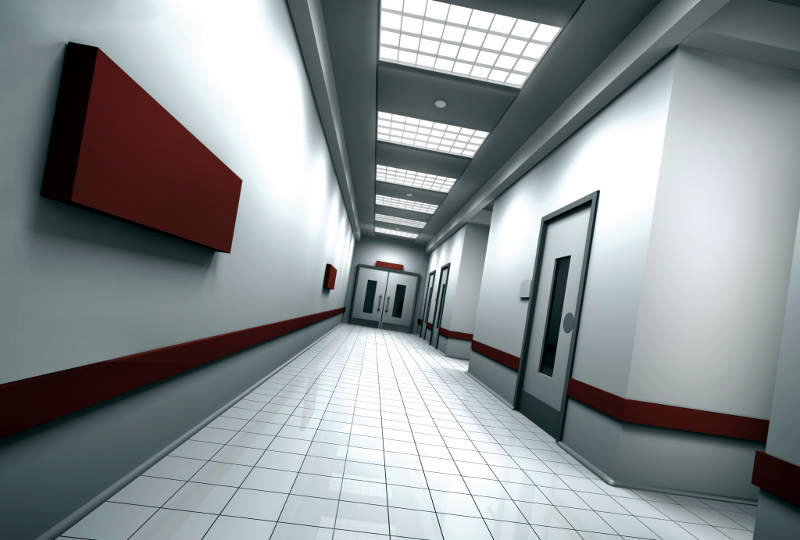 For hospitals, this can be an especially intimidating endeavor. Luckily for security professionals, the benefits of an effective emergency communications system far outweigh the challenges of creating one. A robust emergency communications system can keep a hospital prepared for any emergency and allow emergency managers to make the best, most informed decisions in real time. Compare that to a more dated system and the advantages are clear. Older communications systems typically require emergency managers to go through several layers of security personnel to get updates. For those managers, it can feel like they’re playing the telephone game from school, where children pass a message along a line through dozens of whispers. The outcome is usually a comically large difference between what the first student said and what the last student heard. The problem is that emergency managers can’t afford to let their messages get scrambled during the critical moments of emergency responses. Establishing an efficient communications system can be a challenge for any institution, but hospitals have several characteristics that emergency managers need to consider. For one, construction specifications and certain hospital equipment can diminish cell phone reception in parts of healthcare facilities. This can make it impractical to use a communications system that relies solely on reaching staff members through their cell phones. Hospital officials must also be mindful of the information they’re broadcasting across channels. Everyone is in agreement that communications technology has improved exponentially over the last decade, but that doesn’t necessarily mean it’s flawless. Encryption measures are indeed becoming more common, but anyone pessimistic about the future of emergency communications is misguided. The proliferation of IP solutions has made direct contact between disparate organizations more simple than ever. Mutualink is one company that creates networks of interoperable communities by taking different institutions’ existing communications infrastructure and putting it onto an IP network. “It allows emergency commanders to, among other things, create incident channels. So if there are multiple teams responding to something, they can be added to the channel in an instant and communicate seamlessly,” Wright says. Martino guided Northwell Health’s adoption of Mutualink’s Interoperable Response and Preparedness Platform in 2014. The service allows 15 of Northwell’s hospital campuses to share voice, video, data and text communication both within the health system and with local first responders. Martino believes the system has been an indispensable resource for Northwell because, unfortunately, it’s had no shortage of emergency situations. Another benefit of networked systems is that they can eliminate the physical infrastructure that can be compromised during certain emergency situations like fires or severe weather. Carolinas Healthcare System’s Bryan Warren also notes that situations like civil disturbances and active shooters can make certain equipment inaccessible. Martino has begun the process of pushing his system to the cloud in order to stay prepared for any situation. Being able to tap into your system anywhere means you’re not forced to manage emergencies in any one place. Once you’ve become familiar with emergency communications systems and staked out a spot in the budget for an upgrade, it’s important to make the most out of your investment. Hospital communications channels must be compatible with local departments including police, fire and nearby emergency medical services (EMS agencies). At the same time, privacy regulations don’t allow a constant stream of information to flow indiscriminately from hospitals to their associates, making it necessary for managers to hold a proverbial valve they can turn off and on as emergencies evolve. That’s where the network comes in handy. At the same time, it’s absolutely critical that your hospital’s emergency communications are synchronized with local first responder agencies during emergencies. That usually means coordinating with local agencies as you implement a service, as Northwell did. Martino also stresses the importance of redundancy in emergency notifications. Northwell Health asks employees about their preferences for methods of notification and personalizes alerts accordingly. Warren also encourages hospital officials to look at multi-platform solutions that include the methods Martino mentioned in addition to overhead paging, earpieces for officers and even personal computer integration. All these options can provide an important resource for emergency managers, but if there’s only one person who knows how to operate the system, it can only be so effective. That’s why Martino says Northwell uses the system everyday with its staff at different hospitals. A fully functioning emergency communications system gives managers an all in one tool to understand every side of a developing situation and to execute the best possible responses. Situational awareness should always be a priority for security officials, but it’s especially important during emergencies. Warren references lag time in information sharing as a potentially lethal problem in emergency communications, which brings us back to the telephone game. Emergency managers should aim to get their messages across as quickly and directly as possible, because emergencies are no time for games. The question is: Is your hospital still playing the telephone game? Zach Winn is a recent Keene State College graduate with a bachelor's degree in journalism and a minor in political science. 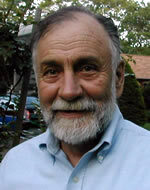 He was previously a reporter for Wicked Local and the Keene State Equinox. The best part of the Moto Z isn't part of the phone at all. It's rare to see a smartphone without something attached to it. Protective cases, headphones, zoom lenses, and more brought in manufacturers an estimated $80 billion last year. But many of those accessories are lacking in design and features. Even Apple sometimes falls short: its Smart Battery Case, for instance, makes your iPhone look vaguely like a silicone camel. Motorola wants change all that. 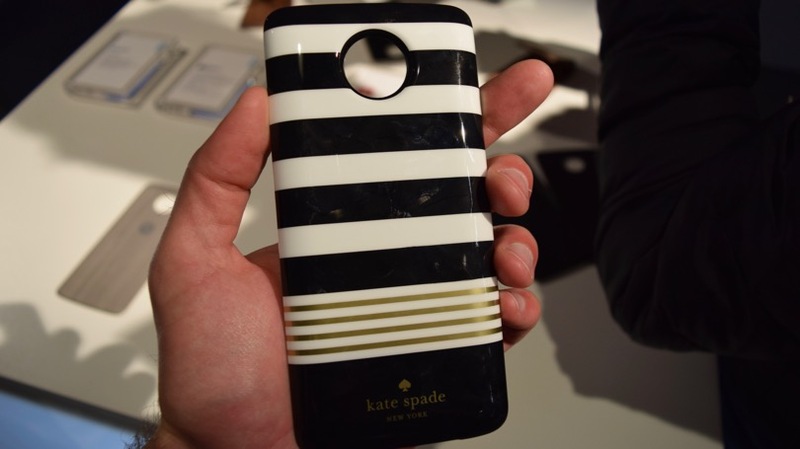 With its new smartphone line, the Moto Z, the company hopes to bring accessories into the design spotlight. The Moto Z is a snazzy-looking smartphone in its own right, and I'll take a closer look at it in a moment, but its main innovation, the "Moto Mod," isn't even part of the phone. Moto Mods are accessories like power banks, projectors, and vanity cases. 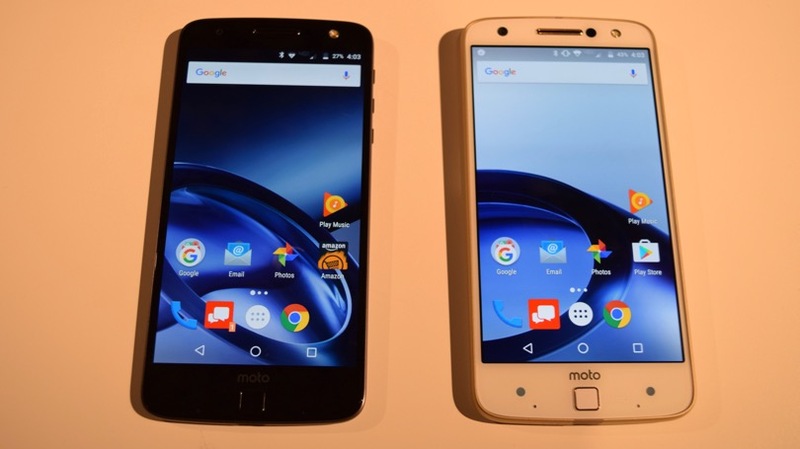 They attach to the Moto Z and its ruggedized cousin, the Moto Z Force, via pogo-style connectors on the back of the handset. They add a bit of bulk to the phone, but the ones I tried out at Lenovo's Tech World Expo in San Francisco this week didn't detract at all from the Moto Z's sleek form factor. Lenovo, which now owns Motorola, has used pogo connectors before in the ThinkPad Stack line of business travel accessories. They're a combination of very strong magnets and tiny round dots that establish a single power and data connection between the circuits on the Mod and the phone—no USB cords necessary. When you attach a Mod to the Moto Z, the phone vibrates and you typically get some sort of notification on the screen. That ranges from a full-screen alert for the power pack, to the subtle appearance of an extra battery percentage icon to tell you how much life remains in the built-in battery of the JBL SoundBoost. 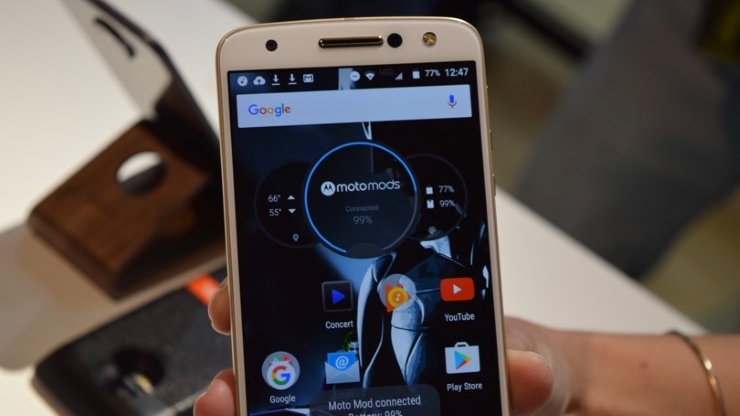 The SoundBoost is perhaps the most impressive of the three initial Mods that Motorola had on display at Tech World. It's a 6-watt stereo speaker that's less than an inch thick, and though it can't replicate the highs and lows of a portable speaker like the Bose SoundLink $199.00 at Dell, it is loud. Loud enough that I could hear it from the back of the crowded auditorium of the Expo and in the cacophonous demo room, where multiple competing SoundBoosts were strutting their stuff. Like the other Mods, it includes a USB-C port to charge its built-in, 10-hour battery, though it will charge automatically when it's connected to a plugged-in Moto Z. The speaker also looks good—it's less than an inch thick with a subtle curve on either end, and a slim red kickstand that folds out from the middle to prop up your phone. But perhaps its best feature is one it lacks: no cumbersome Bluetooth pairing. Once the magnets connect, you're set to rock out. The Mod projector mirrors the good looks of the SoundBoost, and also comes with a built-in battery and kickstand. But like most mobile projectors, its bulb is weak in all but a darkened room, making it impractical for the sort of impromptu family photo or quarterly sales slideshows for which it's designed. The most stylish of the Mods is actually the one you'd least expect: the power bank. That's because Lenovo has partnered with Kate Spade New York, Incipio, and Tumi, which slapped their logos on otherwise identical power banks. Once connected, they offer up to 22 hours of battery life. 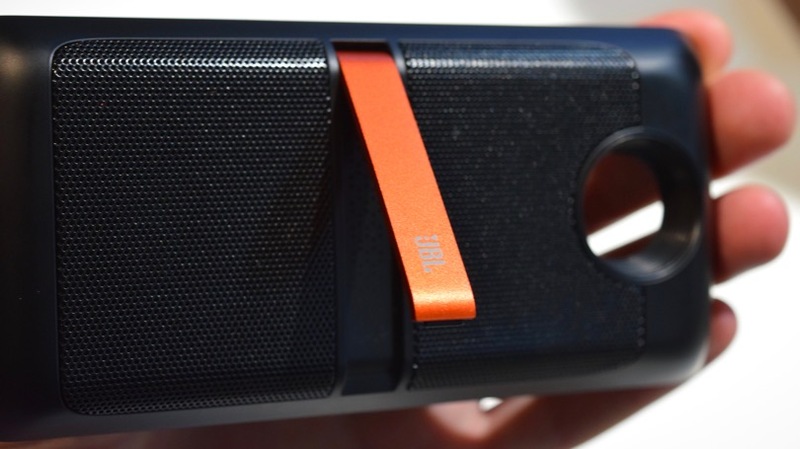 The power bank, projector, and speaker were developed by Lenovo in partnership with JBL and the designers. 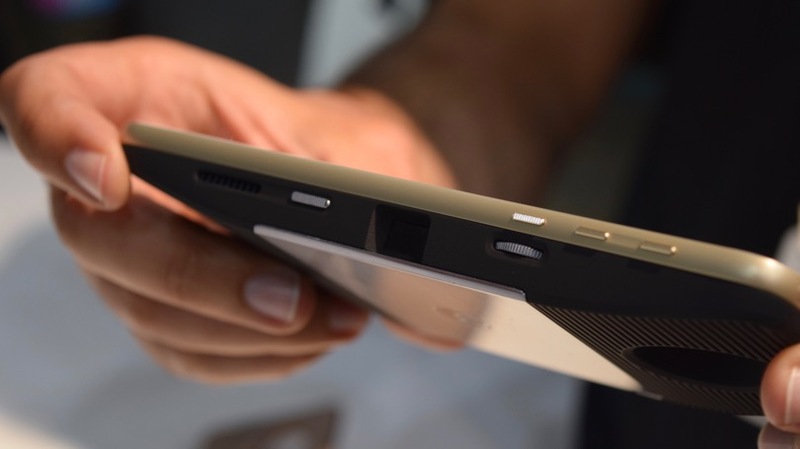 They're "concepts to help seed the market," said Lenovo's Chief Technology Officer Peter Hortensius. With its Mod Development Kit, the company envisions a sea of third-party Mods that will be compatible with any pogo-equipped Motorola phone. As for the phones themselves, the Moto Z and Moto Z Force are standard Motorola fare: stylish and powerful. The 5.2mm Moto Z is made from aluminum and stainless steel, and has a water-repellant coating. (Though judging from the amount of fingerprints on the Tech World demo units, its oleophobic properties aren't so great). On the inside, it has a 13-megapixel rear-facing camera with optical image stabilization, a 5-megapixel front-facing shooter, and a 2600 mAh battery that can be recharged to deliver eight hours of power in 15 minutes. It runs a Qualcomm Snapdragon 820 processor and includes 32GB of storage. There's also USB-C and microSD (up to 2TB) support and a fingerprint reader. The Z Force is slightly thicker and includes a higher-resolution camera and longer-lasting battery, though is otherwise identical to the base Z model. If you don't have a Mod power bank, you'll appreciate its ability to get what Motorola claims is 15 hours of battery life from a 15-minute charge. The Moto Z and its accompanying Mods are certainly innovative, but whether or not they ignite a smartphone revolution will depend to a large degree on their price tags, which haven't been announced yet. It's the same conundrum that plagues prospective ThinkPad Stack owners: sure, you could spend a lot of money to get accessories that are beautifully integrated with each other, or you could pick up a $50 speaker case and power bank online. Either way, Motorola seems to have tapped into a truism of smartphone users: some may need a 20-hour battery life, and others might crave JBL speakers. None of them can reasonably expect their phones to come with those features built-in, though, and some of them might be willing to pay extra for the privilege of having them in an easy-to-use accessory that doesn't make their phone look like a silicone camel. 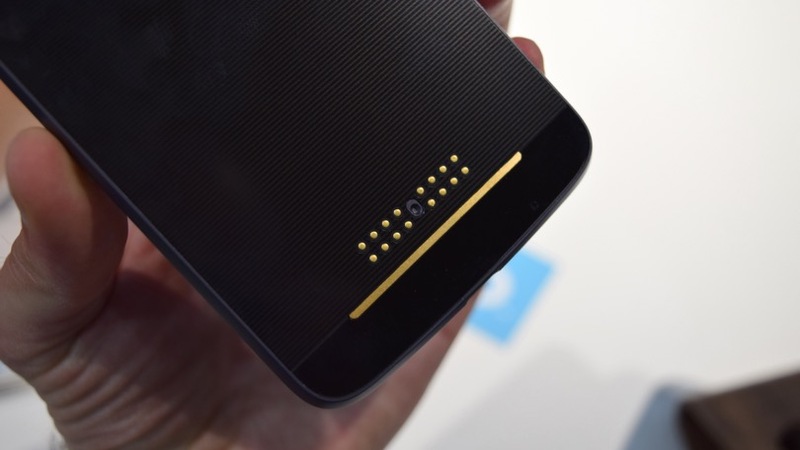 Droid versions of the Moto Z will be a Verizon exclusive this summer; pre-orders begin next month. An unlocked Moto Z will go on sale in the fall. At Thursday's event, meanwhile, Lenovo also introduced the first Google Project Tango phone, the Phab2 Pro. Check out PCMag's hands on the video below. As the BloostonLaw Telecom Update was going to press, the FCC issued two Public Notices that are important for incentive auction forward auction bidders. The Forward Auction Upfront Payment Public Notice (DA 16-625) sets Friday, July 1, at 5 pm ET as the deadline for making forward auction upfront payments. This Public Notice also includes an Attachment F with adjusted upfront payment amounts for certain license areas to reflect the Commission’s decision not to use rounding when multiplying the number of bidding units by $2,500 for calculating the upfront payment for each license area. A copy of the Forward Auction Upfront Payment Public Notice is being sent by overnight mail tonight to the contact person listed on each Auction 1002 applicant’s short-form application. A second Public Notice (DA 16-636) announces updated file formats to be used for forward auction clock phase bidding, including file formats for the bid upload feature. On June 1, the FCC issued a Public Notice inviting interested parties to update and refresh the record on the status of potential sharing solutions between proposed Unlicensed National Information Infrastructure (U-NII) devices and Dedicated Short Range Communications (DSRC) operations in the 5.850-5.925 GHz (U-NII-4) band. A detect-and-avoid sharing proposal, under which unlicensed devices would monitor the existing 10 megahertz-wide DSRC channels established in the DSRC Report and Order. If an unlicensed device detects any transmitted DSRC signal, it would avoid using the entire DSRC band to assure no interference occurs to DSRC communications. After waiting a certain amount of time the unlicensed device would again sense the DSRC spectrum to determine if any DSRC channels are in use or whether it could safely transmit. A re-channelization sharing proposal, under which the DSRC spectrum would be split into two contiguous blocks: one for safety-related communications and one for non-safety-related communications. This would be accomplished by moving the control channel and the two public safety channels to the top portion of the band. Additionally, the remaining four DSRC service channels would be reconfigured at the lower end of the band as two 20 megahertz channels rather than maintaining four 10 megahertz channels. Any other approaches that would facilitate unlicensed use of the 5.850-5.925 GHz band without causing harmful interference to DSRC operations, such as a hybrid approach taking elements from both the “detect and avoid” and the “re-channelization” proposals. 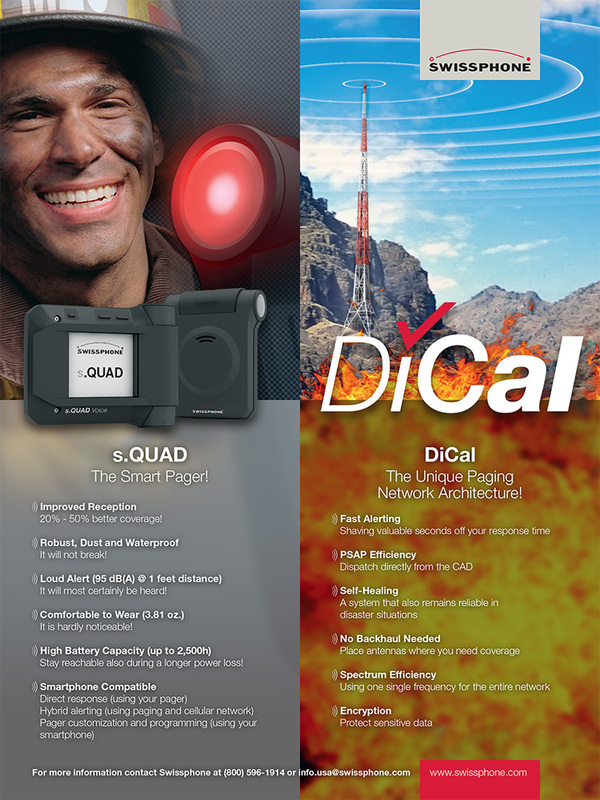 By way of background, U-NII devices provide short-range, high-speed unlicensed wireless connections in the 5 GHz band for, among other applications, Wi-Fi-enabled radio local networks, cordless telephones, and fixed outdoor broadband transceivers used by wireless internet providers. 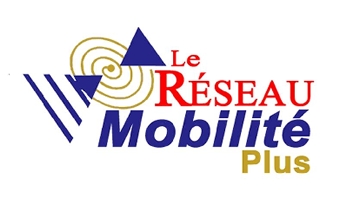 DSRC uses short-range wireless communication links to facilitate information transfer between appropriately-equipped vehicles and appropriately-equipped roadside systems (“vehicle to infrastructure” or “V2I”) and between appropriately-equipped vehicles (“vehicle to vehicle” or “V2V”). Comments will be due 30 days after the Public Notice is published in the Federal Register, and replies will be due 45 days after publication. On June 2, the FCC issued a correction to its April 7 Federal Register announcement that the Office of Management and Budget (OMB) had approved the information collection associated with its Ensuring Continuity of 911 Communications Report and Order consumer disclosure requirement. Specifically, providers with fewer than 100,000 domestic retail subscriber lines (small providers) are required to come into compliance with the disclosure requirement by February 1, 2017. The original publication stated the compliance deadline was April 1, 2017. This is for the notification requirement only; the requirement to actually offer an 8 hour battery backup option goes into effect on August 11, 2016 for small providers. Originally adopted in August of last year, the Order introduced new Rule Section 12.5, which requires providers of facilities-based, fixed, voice residential service that is not line powered to offer new subscribers the option to purchase a backup power solution and to notify subscribers, at the point of sale and annually thereafter, of the availability of backup power purchasing options. The notification provisions of the rules were scheduled to become effective 120 days after the FCC notified the public that approval had been received from the OMB, or 300 days after notification of approval for providers that have fewer than 100,000 domestic retail subscriber lines. When the FCC announced OMB approval, it inadvertently miscalculated the deadline for small providers as April 1, 2017. Telecommunications carriers are reminded that they are subject to various federal and possibly state requirements to prevent and report unauthorized attempts to gain access to customer information and to protect customers from identity theft. The FCC's CPNI rules and possibly unauthorized conversion rules may apply in cases of unauthorized access to customer information. The FCC's CPNI rules require telecommunications carriers to take reasonable measures to discover and protect against attempts to gain unauthorized access to CPNI and require telecommunications carriers to authenticate a customer prior to disclosing CPNI based on customer-initiated telephone contact, online account access, or an in-store visit. In addition, a telecommunications carrier must notify law enforcement of a breach of its customers' CPNI. The FCC's unauthorized conversion or "slamming" rules address the practice of switching a consumer's traditional wireline telephone company for local, local toll, or long distance service without permission. The FCC's rules establish procedures and penalties for carriers in the event of an unauthorized conversion. advances funds to — or for — someone who must repay them, either with funds or pledged property. If you have detected attempts by unauthorized individuals to gain access to your customer information or if you have questions about the rules, please contact the firm. On June 3, the FCC’s Wireline Competition Bureau issued a Public Notice seeking comment on the proposed eligible services list (ESL) for the schools and libraries universal support mechanism (a.k.a. E-Rate) for funding year 2017. Comments are due July 5 and reply comments are due July 20. The term “special construction” is deleted from Note 2 under eligible Category One data transmission and Internet access services . The section previously titled “Eligibility Explanations for Certain Category One Services” is moved so that it appears after the description of Category Two supported services, and the section header is revised to include Category Two services. A new explanation of how to classify connections between multiple buildings of a single school is added to the section titled “Eligibility Explanations for Certain Category One and Category Two Services,” which distinguishes between connections among multiple buildings of a school that are located on a single campus and connections between multiple buildings of a single school that are located on separate campuses. The full proposed ESL is available here . The Bureau is also seeking comment on the effectiveness of last year’s changes and clarifications. On June 5, U.S. Senator Charles Schumer announced new legislation he will introduce in the Senate that would finally require landline and mobile carriers to offer free robocall-blocking technology to all consumers. The Repeated Objectionable Bothering of Consumers on Phones Act (ROBOCOP) Act, introduced by Rep. Jackie Speier (D-CA) in the House of Representatives, would also direct the Federal Communications Commission (FCC) to require telephone companies to label and block calls with fraudulent caller ID, as a result of widespread spoofing. Clients that use robocalling for legitimate purposes, such as confirming service appointments or following up on unanswered alarm calls, will want to monitor this legislation to ensure that any resulting laws do not take away a valuable business tool, and raise costs. Specifically, the new bill will direct the FCC to enact regulations that require providers of telecommunications services or IP-enabled voice services, for no additional charge, to enable robocall blocking technology with exceptions for calls made by a public safety entity or where the recipient provides prior consent to receive the call. The bill also subjects to civil forfeiture penalties, criminal fines, or state actions persons who intentionally cause call-blocking technology to: (1) incorrectly identify calls as originating from an automatic dialing system or using an artificial or prerecorded voice, or (2) prevent the called party from receiving a call made by a public safety entity or a call to which it has provided its prior consent. On June 7, Politico reported that Senate Democrats are keeping the MOBILE NOW Act (S. 2555) from coming to the floor, according to Senate Commerce Chairman John Thune. "There are a couple of Democrat objections, so we're trying to see what those are," Thune told reporters, adding that he does not yet know if the holds are related to Democrats' frustrations over FCC Commissioner Jessica Rosenworcel's stalled renomination. "I don't believe [the holds] are policy related," he said. The MOBILE NOW Act, short for “Making Opportunities for Broadband Investment and Limiting Excessive and Needless Obstacles to Wireless,” requires he National Telecommunications and Information Administration and the FCC to make at least 255 megahertz of federal and non-federal spectrum below the frequency of 6000 megahertz available for mobile and fixed wireless broadband use by December 31, 2020. Specifically, at least 100 megahertz must be made available on an unlicensed basis and another 100 megahertz must be made available on an exclusive, licensed basis for commercial mobile use, subject to the FCC's regulatory purview, including consideration of continued use of such spectrum by incumbent federal or non-federal entities in designated geographic areas indefinitely. 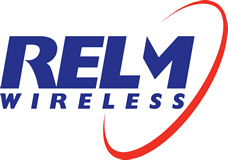 The Act also requires the FCC to assess whether to establish a program, or modify existing programs, under which a licensee that receives a license for the exclusive use of spectrum in a specific geographic area may partition or disaggregate the license by sale or long-term lease to provide services consistent with the license and make unused spectrum available to unaffiliated small carriers with not more than 1,500 employees, or other unaffiliated carriers to serve rural areas. WirelessWEEK, among others, is reporting that the “Rivada Mercury” team has provided some details on the bid it submitted to be FirstNet’s primary contractor to build the public safety network for first responders. Headed by former Sprint CFO Joe Euteneuer, Rivada Mercury is comprised of Ericsson, Nokia, Intel Security, Rivada Networks, Harris Corporation, Fujitsu Network Communications, and telecom construction firm Black & Veatch. “Our team’s approach to FirstNet offers many benefits for America’s public safety community, namely we will provide public safety with a purpose-built Band 14 network and immediate turn-key access to the largest non-Band 14 coverage footprint in the U.S.,” Euteneuer said. The team plans to use “Dynamic Spectrum Arbitrage” technology which allows for 4G mobile network capacity to be bought and sold in real time and in response to market demand. “As a pioneer in dynamic spectrum arbitrage, Rivada Mercury’s innovative technology will both fund the FirstNet build out and sustained operation and maintenance by selling excess capacity to commercial users,” said Euteneuer. Other notable members of the company include former Governors Jeb Bush (R-Florida) and Martin O'Malley (D-Maryland) as board directors. According to an article in Fortune , a source close to Rivada believes that there are two other bids, including one led by AT&T and Motorola, and another by another new entity. On June 7, the FCC issued a Public Notice announcing that it will transition to its new Electronic Comment Filing System (“ECFS”) system on the morning of Monday, June 20, 2016. This will be a “hard launch,” meaning that the legacy system will no longer be available after the transition. All documents in the legacy system will be accessible in the new system, and saved links (bookmarks or favorites) to documents and proceedings should not need to be adjusted. In order to best ensure that this important public-engagement system is fully functional during regular business hours, the Commission will take down the legacy ECFS application starting at 11:59 p.m. ET on Friday, June 17, 2016, and the system will be unavailable through the weekend. The Commission plans for the new system to be available and fully operational by 8 a.m. ET on Monday, June 20, 2016. The old ECFS system will not be available once the new one is operational, but all files will be accessible in the new system. The FCC has scheduled a number of public, web-based tutorials to provide multiple opportunities for users to become comfortable with the new system. All demos will be listed here: https://www.fcc.gov/news-events/events . As of this date, tutorials have been scheduled for June 7, 9, 14, and 16. Buy 9 s.QUAD Voice, get one free! 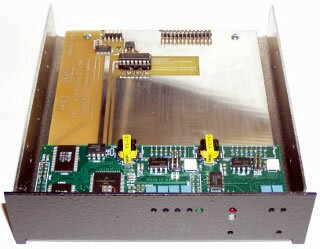 Buy 10 s.QUAD Voice, get one programming kit for free! 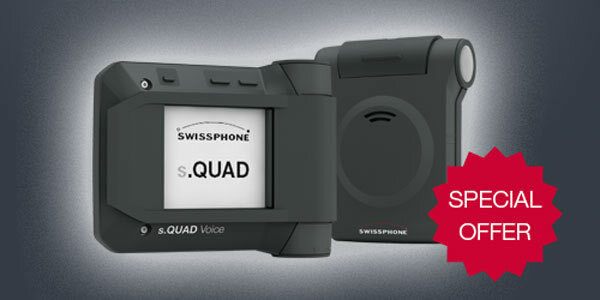 Buy 5 s.QUAD Voice, get free holsters! Call (800) 596-1914 or e-mail us at info.usa@swissphone.com . Swissphone‘s friendly staff is prepared to help you with all your questions. 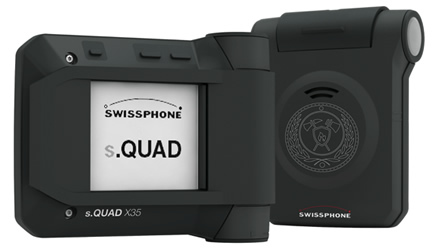 * Limitations: Offer is valid until 6/30/2016 for Swissphone s.QUAD Voice pager only. Limited to 30 pagers per agency/purchaser. The promotions cannot be combined.